The House today approved a $45 million amendment to the supplemental budget that its backers say will keep Alaska’s Medicaid program funded for the next two months. The additional money was approved on a 32-7 vote and is about half of what Gov. Bill Walker had requested to cover higher-than-expected costs in the current fiscal year, which ends on June 30. The supplemental budget bill, in its entirety, also passed the House 32-7. The additional funding already has support from the Senate, according to House Finance Committee co-chair Rep. Paul Seaton, R-Homer. 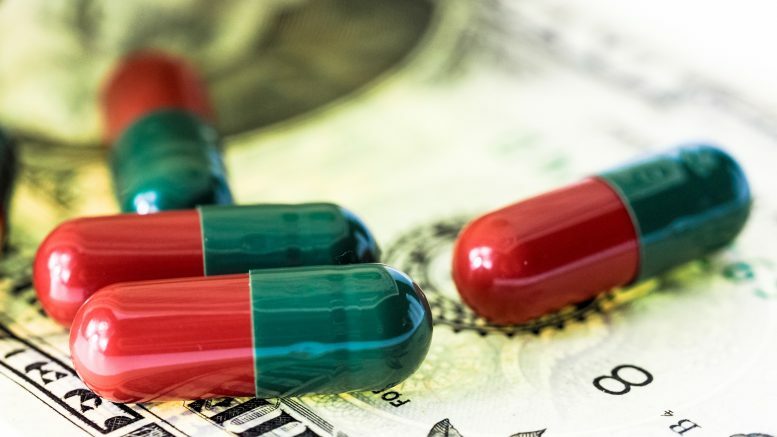 Without the additional funding, the Alaska Department of Health and Socials Services was projected to run out of money by mid-April and was expected to end Medicaid payments to providers at the end of March or by that mid-April date. Though those providers would eventually have been able to collect the payments set in state, they would have had to operate without reimbursement for months. It raised alarm bells in Juneau when some health care providers said they might have to shut down altogether if the payments weren’t made on time. Senate Republicans bristled at the request earlier this session, and some of its members publicly entertained the possibility of rejecting the funding altogether. The money was left out of the initial fast-track supplemental budget, which was pared down to ensure passage early in the session. Only what the four co-chairs of the House and Senate finance committees agreed to were included in the supplemental bill. When introducing the $45 million amendment, Seaton said things had changed and the co-chairs had agreed to the additional money. The rest of the request, he said, would be addressed in the other budget bills still working their way through the Legislature. Conservative minority Republicans–mostly members from the Mat-Su Valley and Eagle River area–stiffly opposed the additional spending with particular scorn directed at Gov. Bill Walker’s decision to accept federal Medicaid expansion (which the state says isn’t the key driver of the increases). The most surprising support, however, came from Rep. Tammie Wilson, a conservative North Pole Republican well-known for her opposition to most state spending and public safety net programs. Wilson said she didn’t like the funding, but acknowledged that the state will owe the providers one way or another. She said refusing to fund the payment could put many smaller health care providers out of business, which she said nearly happened to many of her constituent businesses during the last overhaul of state Medicaid payments. She said people upset with the payments should push for changes in state law. Be the first to comment on "House approves additional $45 million to keep Alaska’s Medicaid program running"